Sephora has a new deluxe sample offer! 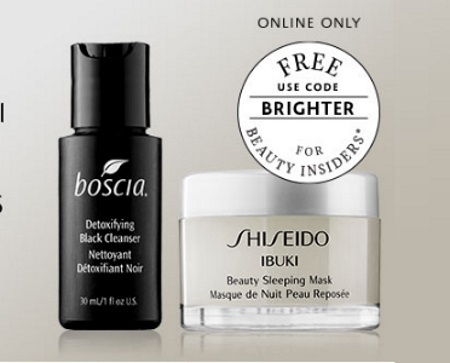 Choose a Boscia warming gel cleanser or a mini Shiseido overnight leave-on mask to unclog pores. Offer available with any $25 online order for a limited time. Enter the promo code BRIGHTER at checkout.